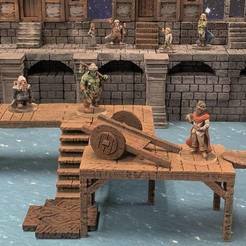 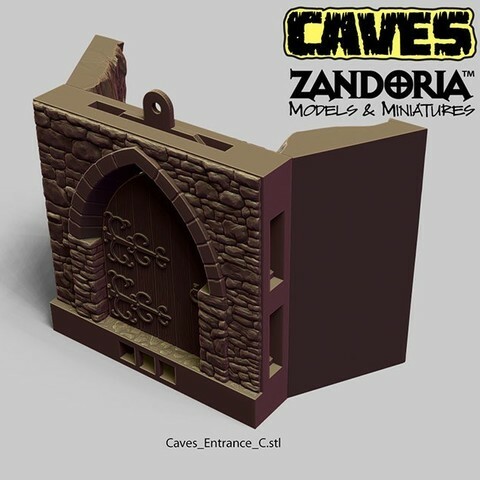 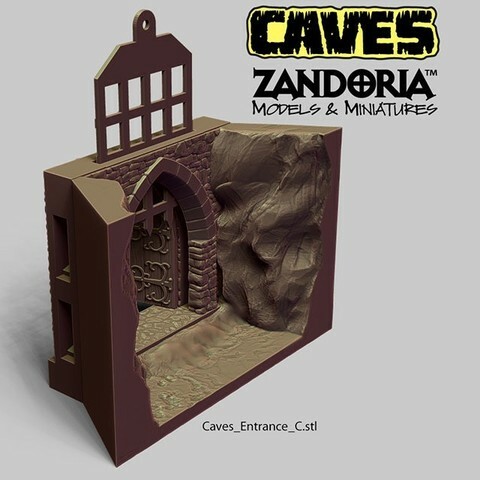 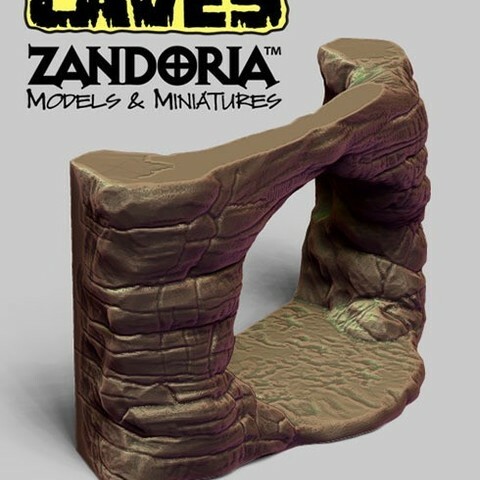 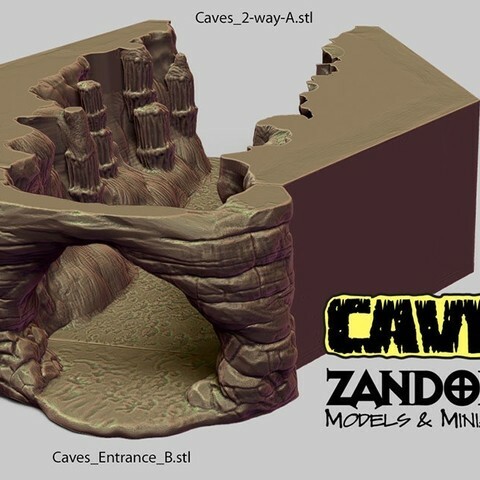 3D printable Caves for 28mm table-top gaming. 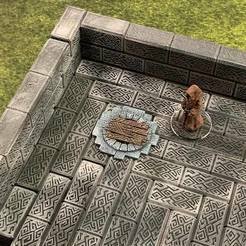 The tiles are all based on a 6" hexagon tile, 2" tall with 1/8" floor. 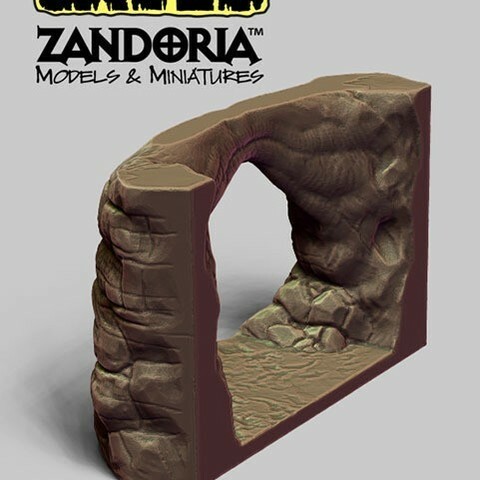 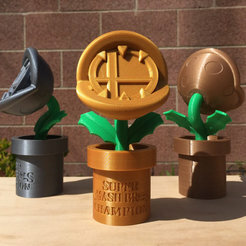 Designed to be printed on FDM printers. 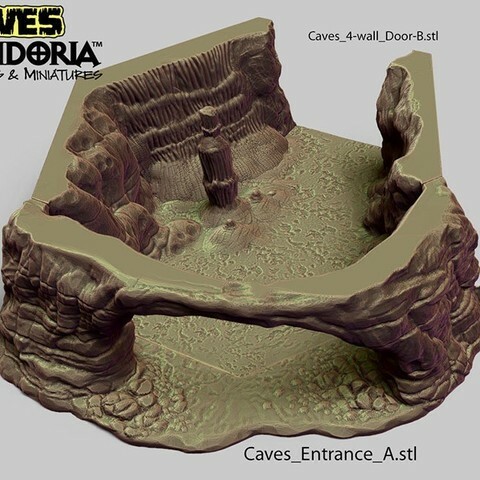 No support is needed, and no assembly is required. 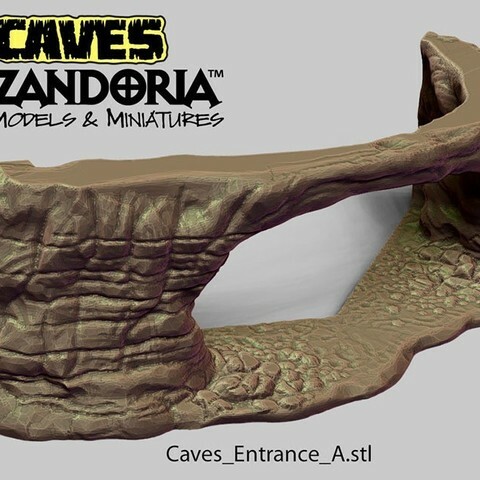 There are 22 different Cave tiles. 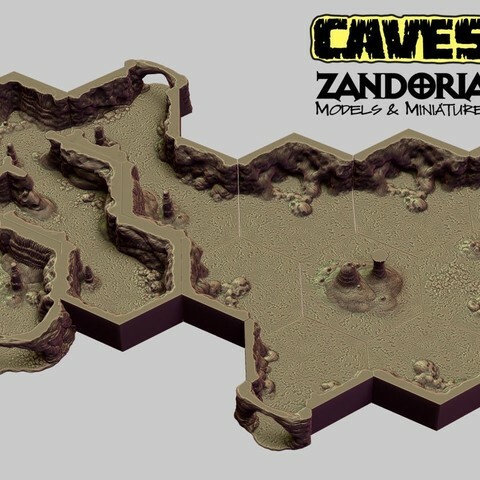 All of the different tiles match up, allowing you to layout an endless variety of caves and caverns! 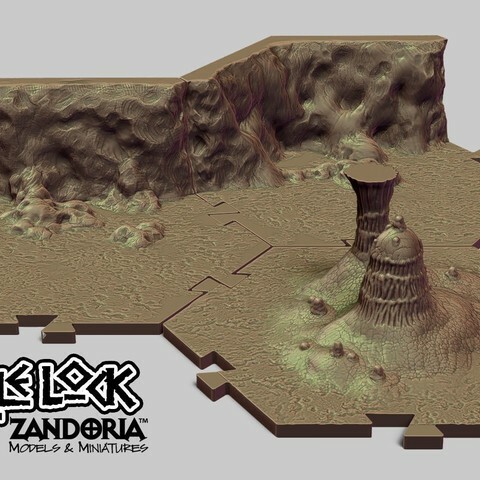 The models are all Sculpted in ZBrush and are high resolution. 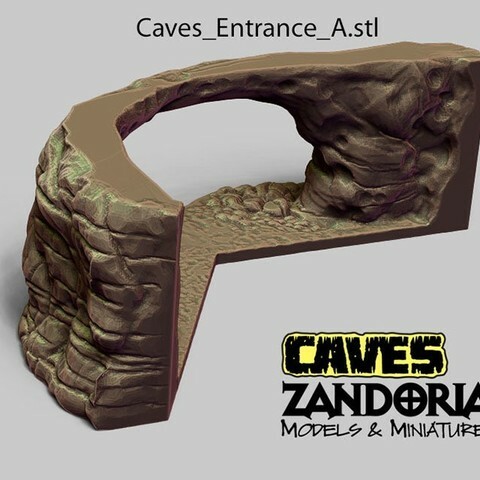 There are 3 different cave entrances.Entrance A & B take your from the Caves to the outdoors. 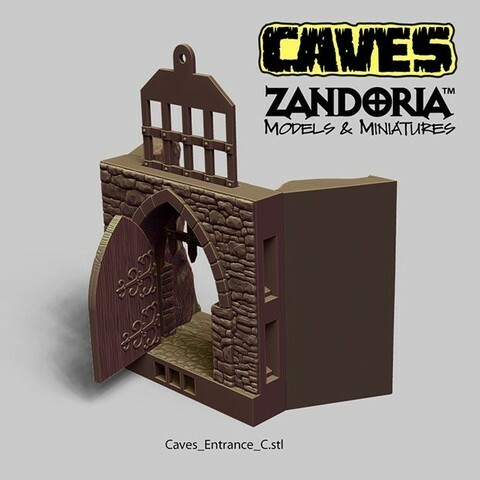 Entrance C connects the caves to a OpenLOCK compatible dungeon through an archway with working door and portcullis! 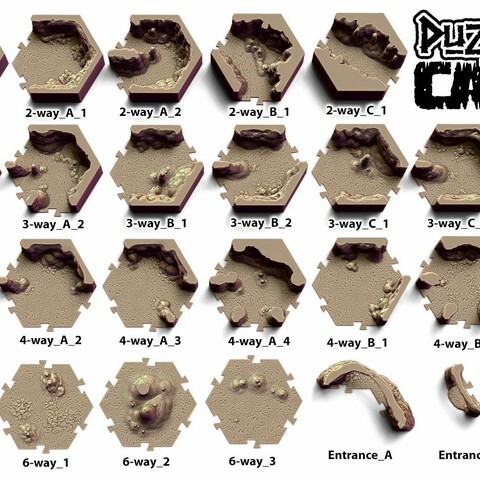 The tiles can be glued down to non-slip rubber sheet, or heavyweight honed marble tiles. 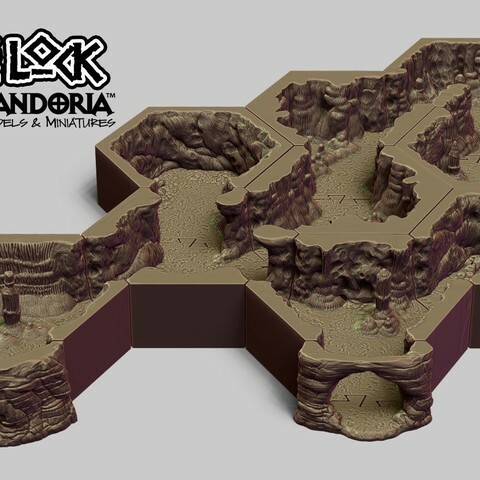 Or if you prefer, there is a set of hex rings in 3 different sizes (for 100% scale, 75% scale, or 50% scale) for OpenLOCK clips or for OpenForge style Magnets (use 5mm spherical magnets). 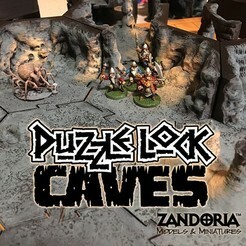 I have added an additional set of PuzzleLock Caves! 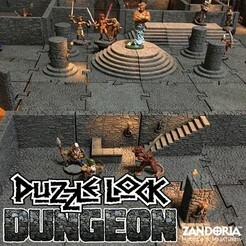 24 different tiles and entrances using a jigsaw puzzle connection to interlock on the tabletop! 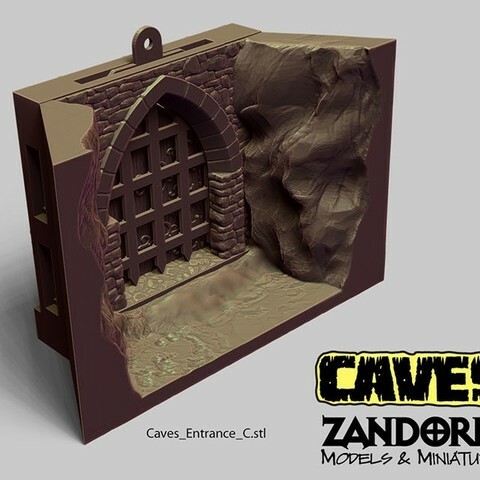 This set is Scaled to fit with my PuzzleLock 28mm dungeon terrain, so it's scale is 65.9% of the original Caves tile. 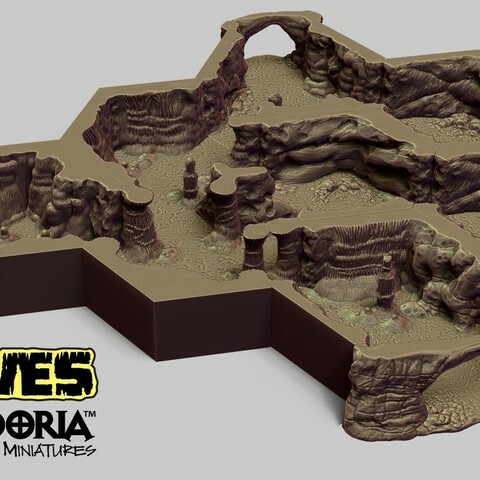 The Hexes are 100.45mm point to point.